If you would like to play with colour and paint, but you don’t know where to start, join us for a fun morning of bright colours and simple shapes as we explore the art of Piet Mondrian, the Dutch painter who lived from 1872 to 1944. Mondrian is one of the most accessible “famous” painters. He simplified images into lines, shapes and colours. The video below shows his transition from painting traditional landscapes of natural subjects toward cityscapes. Many of his images are very familiar as the basic ideas have been used to decorate textiles and other products. This is not an art lecture. It’s more fun than that. We will view some videos of his works (some serious, some frivolous) and then we will play with colours and shapes using paint, card, fabric and even food. 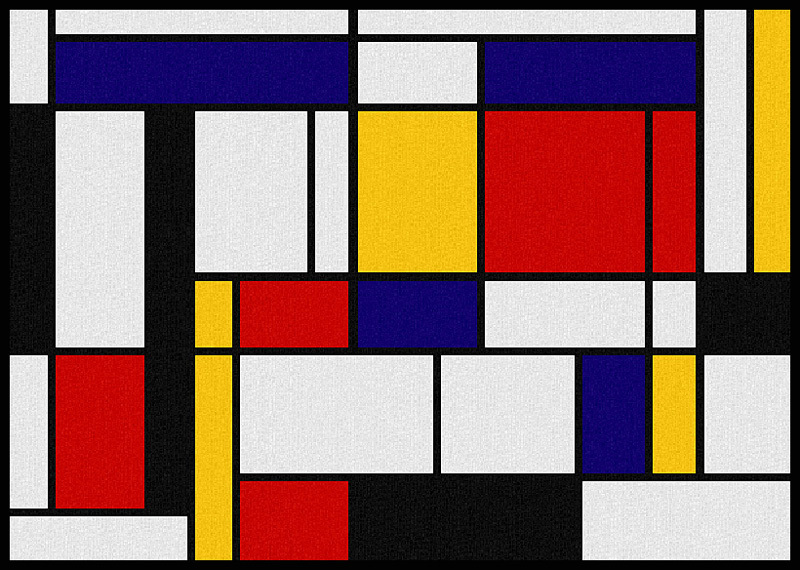 You will get to make your own Mondrian painting, collage, clothing and …. anything else you can imagine! No experience necessary.